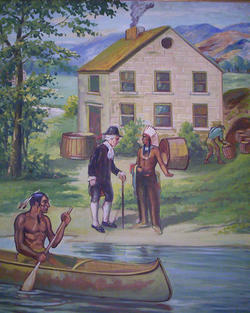 The William Penn Brewery--the staid Quaker build one of the earliest breweries in America nea what is now Philadelphia. Part of his lands were colonized by immigrants from the German Palatinate who found Penn's Product, prepared under the supervision of a Master Brewer from Europe, hightly palatable. The first brewery in america was built in New Amsterdam (now New York) in the 17th century about 30 years before Penn's.